Over the next few weeks Yelp Belfast is running its ‘Around the World in 8 Weeks Series’. The idea is that Yelpers will get the chance to try world cuisine right on our own doorstep. From Italian right through to Hawaiian, we will go on our very own world food tour. So, last night was the first in the series and what a better place to start than Northern Ireland! So, a four-course taster menu was on the cards. First up was a Two Mushroom Veloute- a creamy mushroom soup served with crostini. The soup, as the name suggests, was like velvet- smooth and rich, without being too overpowering. Next up was a Whiskey Cured Salmon and Kilkeel Caught Crab. I’ll hold my hands up and say, because I’m not a seafood fan, I didn’t indulge in the second course but there were clean plates all round from the rest of my party at the table. The salmon was cured in Bushmills and served with a crab quenelle and wheaten. The third course was right up my street- grass fed Dexter and Hilden Irish Stout Pie. This was more like a main portion rather than a taster portion- and I’m glad it was! The crispy/flaky pastry perfectly accompanied the thick pieces of meat and came with creamy spuds, mushy peas and beef gravy. 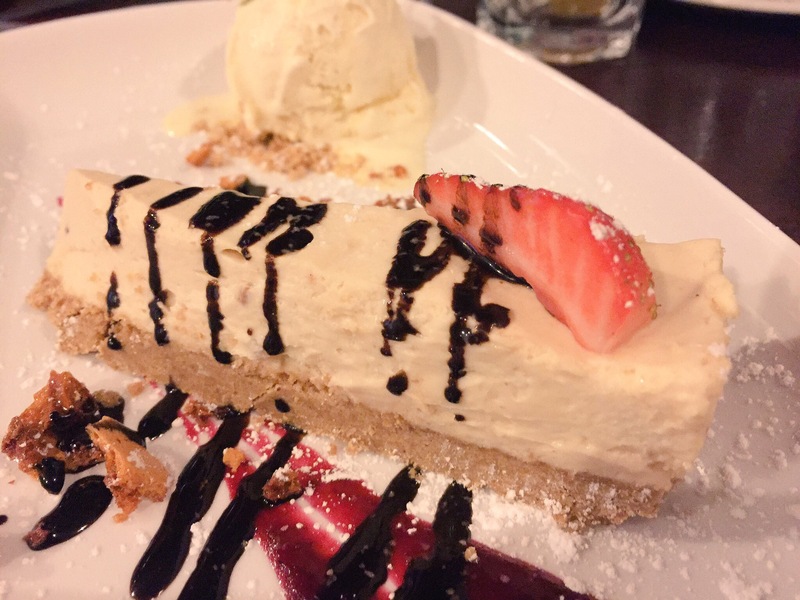 Finally, there was just about room for dessert- peanut butter cheesecake! Peanut butter is not something I usually eat but there wasn’t a strong peanut flavour and in fact, it ended up being my favourite course of the night! All in all, the Morning Star did a great job catering for almost 30 of us! The service was slick and there were no complaints from my table, just empty plates. I think the Morning Star summed up ‘Northern Ireland’ week very well, from things like growing its own organic herbs and salads to working with top NI producers and suppliers. A great night had and I’ll think I’ll go back to try out that steak people are raving about! Superb write up! Love the Morning Star. Been too long from I was there.